Click Add Member under Team Management. Click Add New Members / Roles. Enter the email address of your team member. 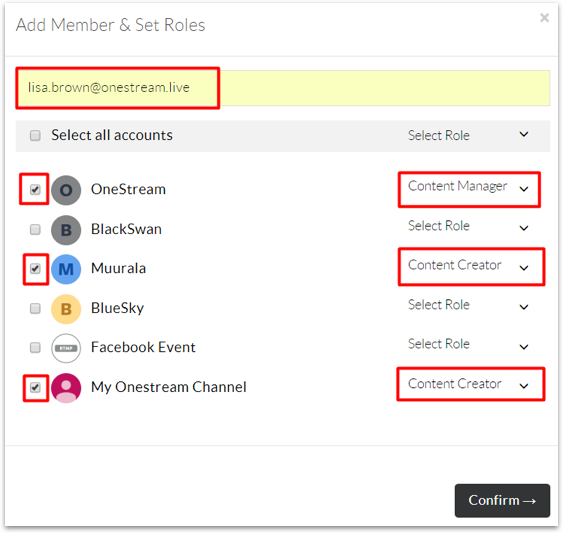 If the team member does not have an account on OneStream an invitation email will be sent. Select the social accounts you want to give the team member access to. Select the role you want the member to have. For difference between content creator and content manager see this article.